Not satisfiedsubmitted by Adrian R. - Feb 04, 2019 |Recommended: NoIt’s not all build up to be, had car stolen and had no help from management. response from property - Feb 08, 2019 Adrian, we regret to hear about your vehicle was stolen from the property and hope that you were able to work with the local law enforcement to recover your vehicle. Although we can't control this type of event from happening, we strive to keep our community informed of local crime and our onsite Courtesy office is always available to assist. Please feel free to contact the office if we can be of any assistance. It's oksubmitted by Keesha S. - Jan 30, 2019 |Recommended: NoThe staff is great but the conditions of living in the apartment are not so great. These walls are paper thin I can literally hear my neighbors like they are in the room with me. Neighbors smoking weed coming through my vents just not what I thought it was going to be. With us being on the second floor you can hear the people downstairs and the people upstairs it's crazy and it's just normal walking and etc....the community gym is dirty the window ledge has so much dust it's crazy not to mention no type of spray or wipes to wipe down the machines from sweaty users just not sanitary. response from property - Feb 08, 2019 Keesha, we regret to hear about the noise complaints and quality of the common areas. Please know the office and courtesy officer are available to take your calls, emails or service request and it is our duty to work with you to resolve these issues. We want all residents to enjoy living here, and we are grateful you took the time to let us know how we can improve. Beautifulsubmitted by Regine J. - Jan 29, 2019 |Recommended: YesEverything is well kept up and all the staff are wonderful. response from property - Feb 08, 2019 Regine, that you for the review and we are so happy you enjoy living in our community. Great Placesubmitted by Albert B. 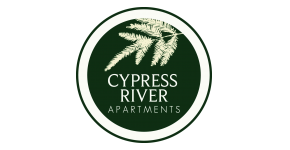 - Dec 31, 2018 |Recommended: YesThis apartment is a great place to live but does have some work to do to become the best in the area. They are the best in prices but should offer incentives for residents for things such has loyalty and other fun thing. Staff is great and really do sell the apartments but don’t give you all information but again does market well. response from property - Feb 08, 2019 Hi Albert, extraordinary customer service is our top priority and we work hard to provide a fantastic experience to everyone within our community. It's discouraging to see that you have not had a positive experience in regards to incentives, our Cares Team strives hard to provide three monthly events ranging in a variety of different activities. We would love to hear any suggestions you might have to make this a better experience for yourself and others within the community. Please feel free to stop by the office or send us an email with any suggestions. Great Place to Livesubmitted by Marquita J. - Dec 10, 2018 |Recommended: YesAt first, things were off to a rocky start regarding Maintenance requests being fixed in a timely manner. Since the new office staff members have come on board, everything has been running smoothly. I can always drop in and get great customer service and very knowledgeable answers. I have enjoyed living here that I decided to renew for another 14 months. This place is very close to the interstate which makes commutes a breeze. I would highly recommend living here, the price is right, the grounds and overall apartment atheistic is awesome and the apartment amenities are top notch. Again I would highly recommend this community. It's a nice property and tucked back but still accessible.submitted by Ashley R. - Nov 29, 2018 |Recommended: YesIt is a nice place to live. My favorite complexsubmitted by Kathryn B. - Oct 01, 2018 |Recommended: YesWe LOVE living here Maintence gets to everything within 24 hours, office staff is always extremely helpful, pool and grounds are always clean, friendly neighbors... I would definetley recommend to a friend. Great placesubmitted by EBC T. - Sep 30, 2018 |Recommended: YesThat it is a nice place to live at. I really enjoy living here.submitted by Chelsea O. - Sep 26, 2018 |Recommended: YesI enjoy living at this complex for the past 2 years. It's a high quality. Very friendlysubmitted by Tara H. - Sep 23, 2018 |Recommended: YesLove that the apartments has events to get to know people around the neighborhood.. peaceful, safe area and a great place to live..
Best price for type of aptsubmitted by Anonymous - Sep 09, 2018 |Recommended: YesApartments are nice, big and modern. Community is friendly and respectful. Lots of parking. Pool is awesome, just need more poolside seating. Best price for the modern apartment.